We believe everyone deserves to know where their drinks come from and how they are made. We started Lord Byron Distillery in Byron Bay so we could distil artisanal spirits for the discerning consumer from ingredients sourced from our own family farm and other local growers. Produced with the dedication, care and passion of a bygone era, combining sustainability with provenance – we deliver a premium experience for us all to share and enjoy. The earliest record of the Restall family in Byron Shire dates back to 1897 when Jack Restall was the local butcher in Billinudgel. Although this fact wasn’t discovered by Brian and Helen Restall until recently, it explains why they have always had a deep sense of affinity with the area and to traditional trade and craftmanship. The farm they purchased has been a family owned business for generations and Brian and Helen continue this tradition with their own family, ensuring the integrity and provenance of their hand-crafted artisanal drinks. They have set about returning the farm to a more productive and sustainable venture. The vision is for a farming enterprise that sells its produce to a micro-distillery, proving that small scale farming can be done sustainably and profitably. Examples of delivering on this vision, can be seen in decision like only using renewable electricity for the farm and Lord Byron Distillery as well as ensuring the micro distillery is a zero discharge site. Value adding to the co-products of the micro-distillery creates valuable liquid fertilisers and a cattle feed additive. These products, that in other micro distilleries are discharged and wasted, are used by the Restall family to help their own farm, as well as other local farmers and gardeners to reduce the amount of mining and fossil fuel derived products they current use. 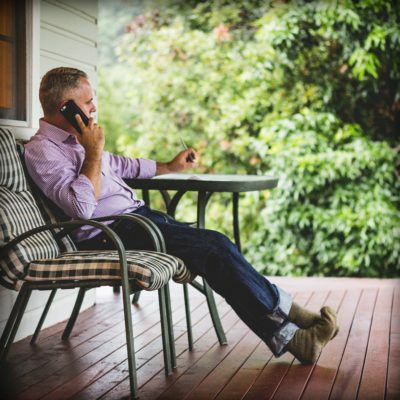 For several years, Brian was the CEO of Cape Byron Power, a local Northern Rivers’ 100% renewable electricity generator located adjacent to the local farmer owned sugar mills at Condong and Broadwater. It was within this role, Brian came to realise that almost all of the food-grade molasses, created by the local sugar mills, was used for cattle feed. Given the sub-tropical environment of the Northern Rivers region, Brian and Helen felt that there was clearly a higher and better use for a small part of this local molasses. Brian and Helen have travelled extensively and worked around the world. Brian loves dark spirits and Helen is passionate about light spirits. 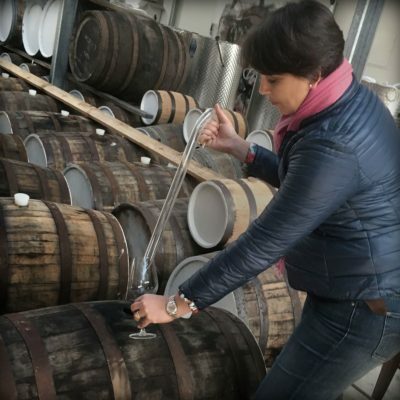 Together they strive to create a small-batch, handcrafted range of spirits that aims to deliver a superior tasting experience. They are members of the Australian Distilling Association and have been trained and mentored by Bill Lark’s team in Tasmania – Bill, being the first person in 153 years to get a micro-distilling license, and is affectionately known as the “Godfather” of the craft distilling market in Australia. We all deserve to know where our food comes from and how it is made. We should care about what we are putting into our bodies. In today’s world, however, most people don’t know where their food comes from and even more concerning is that many people don’t even seem to ask anymore. What was the last drink you bought? Where do the ingredients come from? How are the products made? There is sadly too much marketing and not enough truth in products anymore. We are focussed on helping you to take back control of the decision made every time you enjoy a drink, responsibly. Lord Byron Distillery makes its drinks in Byron Bay from ingredients predominantly grown and sourced in the Byron region. 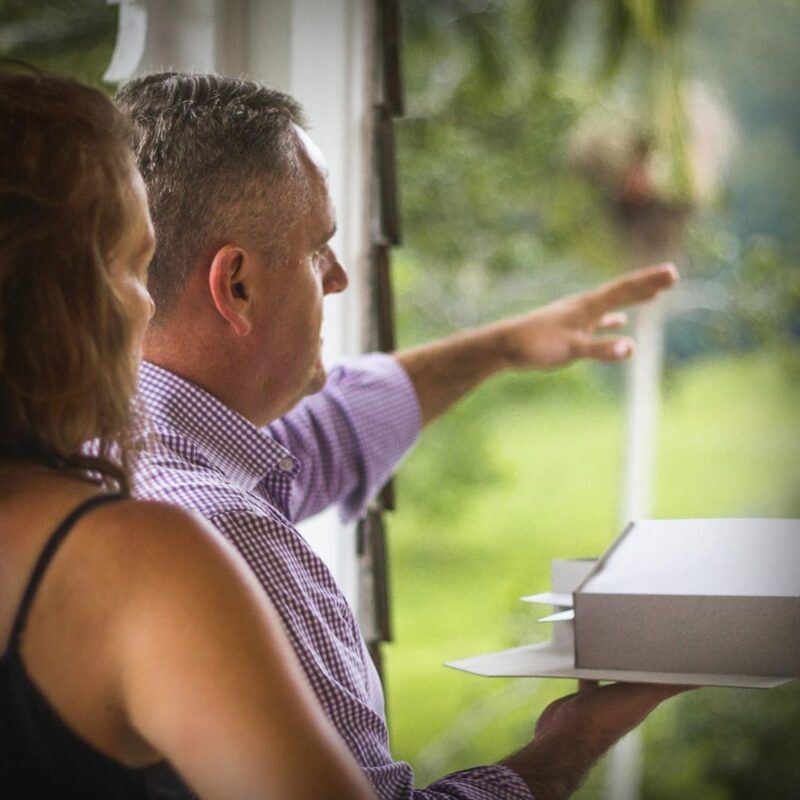 The base ingredient in all Lord Byron Distillery drinks is our pure water which comes from collected rainwater and natural spring water located on our family farm in the Byron Bay hinterland. It is the same water that our family drinks at home on the farm. It is lightly filtered and doesn’t contain the chemicals and additives found in town water. Each morning on our way to work we fill a vessel on the back of our farm ute with this precious resource and deliver it to our micro distillery. Our molasses is sourced from the local sugar mill which is owned by a farmer cooperative – the NSW Sugar Milling Cooperative. Were really excited to have a friend in the industry who loves Whisky as much as we love Rum and light spirits. If we end up making whisky in collaboration with our friend our malted barley will be sourced from the wheat belt of NSW. Whereas sugar cane grows well in the subtropical environment of the northern rivers region, barley tends to grow further inland where conditions are more favourable for it to thrive. The botanicals we need for our drinks are either already planted or in the process of being planted as we rehabilitate our farm back to a more productive and sustainable land holding. Yeast and juniper is purchased from outside of Byron Shire. While our own botanicals are growing to maturity we buy from other local farmers or from outside the northern rivers as seasonal requirements and growing conditions permit. 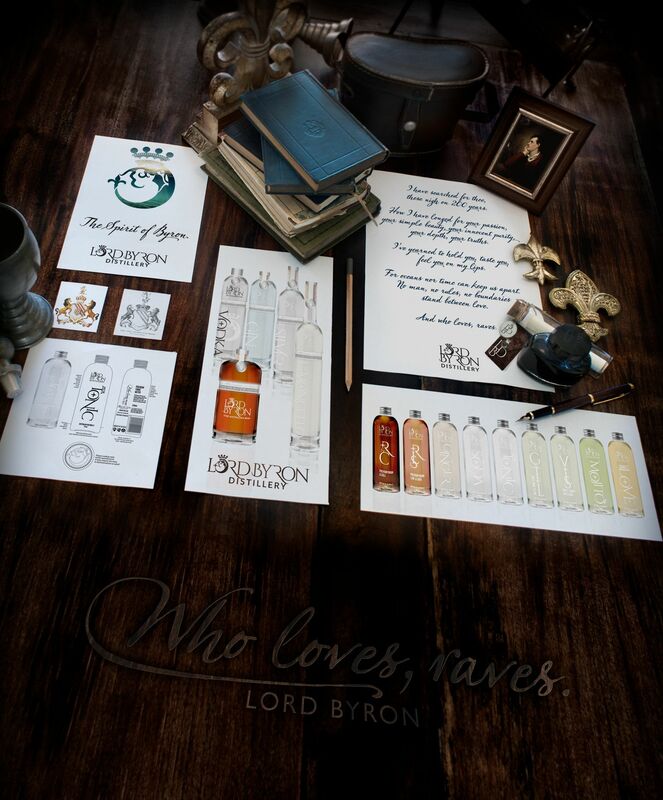 All our drinks at Lord Byron Distillery, branded the “Spirit of Byron”, are produced at Byron Bay Arts and Industrial Park. We only make our drinks from ingredients with provenance and ferment, distill, mature and bottle on site ourselves. This makes our drinks truly unique. During opening hours, you are welcome to visit and see a working artisanal process in action for yourself. 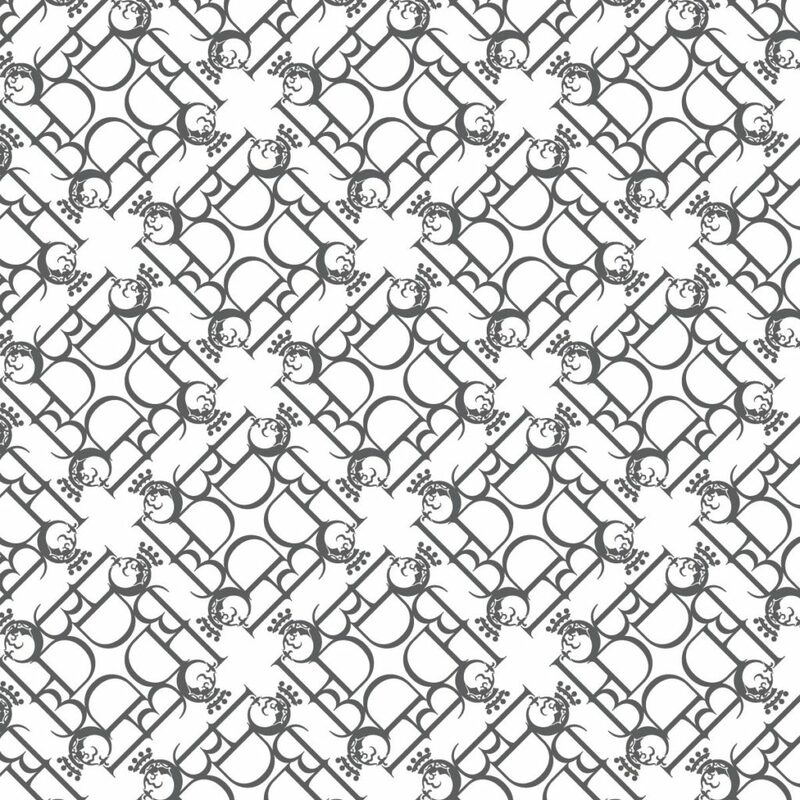 Our traditional methods are an equal measure of engineering and art. Firstly, we blend our water and natural sugar source (either molasses or grain based) with yeast and allow it to ferment. It takes time to create our unique and special flavours; our brew converts the ferments for about a week. The yeast slowly converts all of the natural sugars into alcohol. Only after all the natural sugar is fully converted and we are satisfied with the flavour profile will we commence the distillation process. Our two copper pot stills, named Ada and Allegra were hand made by a coppersmith in Europe. Because they are handmade, they each have unique characteristics. Distilling works because the boiling point of alcohol is lower than the boiling point of water. Keeping the stills at below the boiling point of water allows the distiller to separate the alcohol from the fermented wash. The first distillation run in the copper pot stills is called the wash run. The alcohol from the wash run is collected. Our liquid fertiliser is also a valuable product created as a result of the wash run because we value add to the fermented wash after the alcohol is removed, making a stable and saleable liquid fertiliser or cattle feed additive. The next step in the process is the spirit run. Alcohol collected from the wash run is distilled again through Ada and Allegra, our handmade copper pot stills. The distiller uses all their skill and senses to ensure that each batch delivers the refined tastes in the Spirit of Byron. Our double distilled rums are either sold direct from the still as a Silver Rhum or are aged in specially selected casks at our distillery, to be sold as Rum down the track once they are fully mature. Our neutral spirits such as Gin, Vodka and Limoncello are distilled once more in a column still. Triple distilling delivers the pure light Spirit. As part of our distilling journey we have also become friends with another distillery in El Salvador, Central America. This distillery has been running for many years and we are able to share this excellent example of what a paddock to bottle 12 year old rum can be – we call this Rum “The Promise”. We have welcomed the support and expertise of the previous owners of the farm, the Giles family to farm the land – Eric and Kay Giles as well as that of agronomist, Mike McCosker, a fourth generation farmer himself. Both are passionate about healthy soil and good quality food and both have been an inspiration and source of great knowledge to the Restall family in everything they have achieved on the farm. These mentors share the Restall family belief that all agricultural issues start in the soil. It is the way that soil is managed that has the most impact in dealing with many climatic and environmental problems. Conventional agriculture thinks of plant nutrition in chemical terms, however well balanced plant nutrition also relies on the biological activity of microbes (or micro-organisms/biology) – very small creatures such as bacteria and fungi that live in soils, in water and on plant surfaces, an essential part of all ecosystems including farms. When we manage the land with microbes in mind, the outcomes are the best we can get from a disturbed natural system. Microbes play a central role in the decomposition and recycling of energy and nutrients held within organic matter. Microbes can be described as the ‘engine room’ of the soil. Each paddock and land use has a specific nutrient requirement. Historically these requirements would have been met using mining or petrochemical industry derived fertilisers. However, in addition to producing alcohol, Lord Byron Distillery also create a naturally derived liquid fertiliser that can be used on the farm as well as sold to other farms and gardeners. In this way, our liquid fertiliser can be used to service all of our farm’s needs, removing reliance on the mining and petrochemical industries to source the necessary nutrients. Climate change is real and it is man made. We see the effects of climate change even in the beautiful surrounds of Byron Bay. Anyone who has lived on the land for a long time will be able to tell you that the variations in weather patterns have become more marked in recent times. It is our combined responsibility to each do what we can to help mitigate the effects of climate change. Change starts with the decisions each of us make. It is for this reason that the farm as well Lord Byron Distillery are both powered by 100% renewable energy. Australian Bush Lemons grow wild on our farm and in the northern rivers region. These lemons are not smooth like a shop lemon and are a reflection of the country they are grown in – a true rough diamond of Australia. It was on a family holiday in Italy when we discovered the likeness our bush lemons had to the Italian variety. We use Australian bush lemons we grow and source locally as the flavour base for our Limoncello. Being proud Australians we think they taste better than the softer Italian lemon varieties, but at the very least the create a uniquely Australian Limoncello. We are currently rehabilitating small areas on our farm that have been taken over by Camphor Laurel, a weed that is prevalent in Byron Bay. 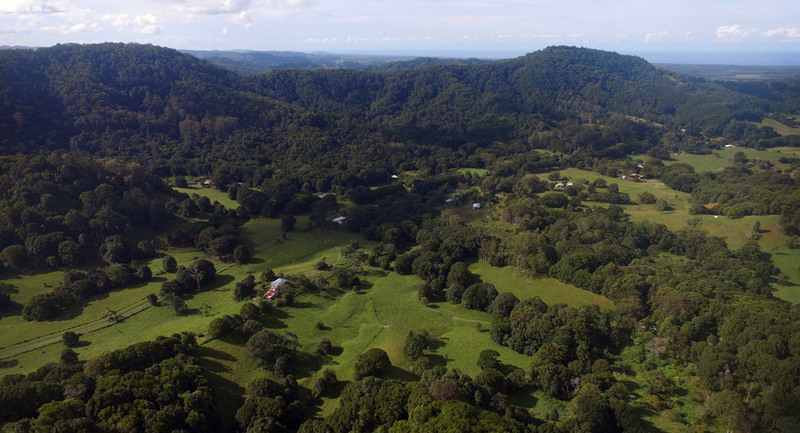 Like many other areas in Australia, farming in Byron Bay has declined over a number of years. Removing Camphor Laurel takes time and the family is sympathetically rehabilitating small areas of the farm back to its prior agricultural productivity again. Native Botanicals as well as more traditional European and Asian botanicals such as juniper, lemon grass, kaffir lime leaves, mint, sage, rosemary, coriander seeds, cinnamon, iris and peppercorns, are being planted. 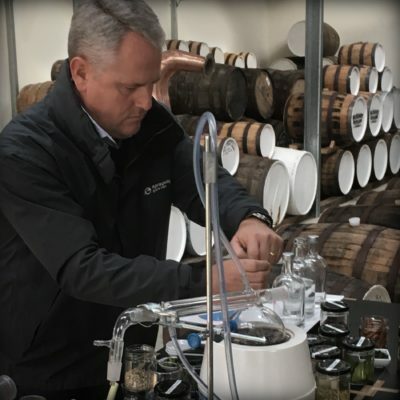 The productivity and sustainability of the agricultural enterprise is being enhanced and is now closely linked to the Lord Byron Distillery delivering a uniquely Byron paddock to bottle drink. Lord Byron was born in 1788, a pivotal year in modern Australia’s history. Captain Cook named Cape Byron after the grandfather of the legendary poet, romantic free-spirit and seeker of knowledge. 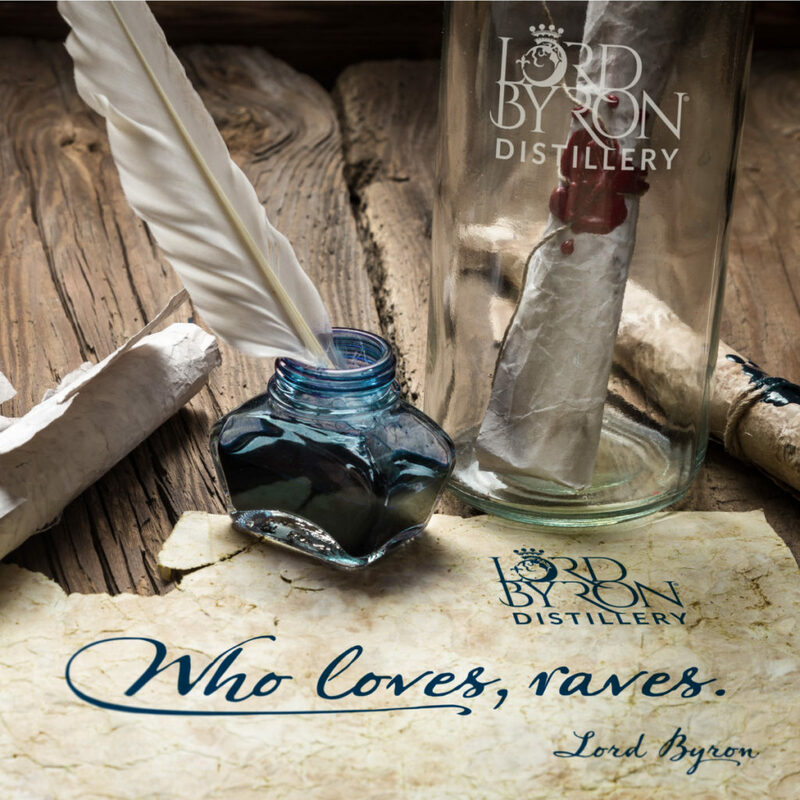 Lord Byron Distillery founder Brian Restall has long since read the works of, and studied the life of, Lord Byron. 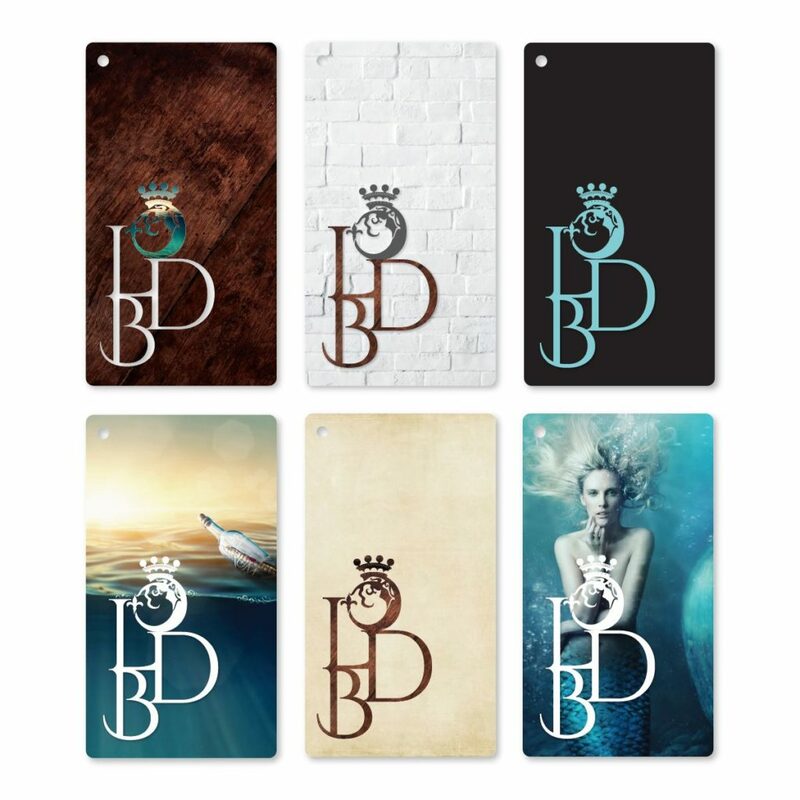 With great excitement, I researched both Lord Byron and the current trends in the liquor industry, to create a logo that would reflect the values and vision of Brian and Helen, yet cut through in a highly competitive market. It has been the most enthralling project. 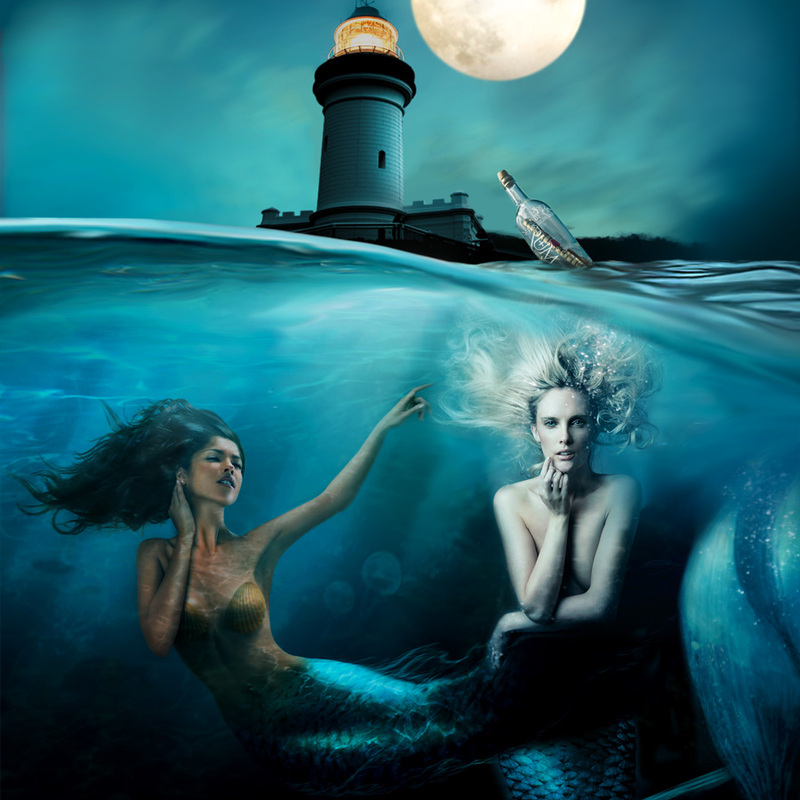 I drew inspiration for the icon from the powerful Byron ocean and light house conjuring images of a siren in its depths, as many a tale of those drinking rum have told (also tipping my hat in honour of the many and varied illustrations of mermaids that have donned the Byron crest through the decades), and a message in a floating bottle. The four finials upon the crown represent the four essential elements of the distillery; aroma, colour, taste and complexity. The icon was accompanied by hand-finished lettering, slightly quirky, with the romance and eccentricity of Byron and an elegance reflective of a bygone era. Owner Brian Restall on site with Brand Developer Julie McCoy. Photo by William Stiles. 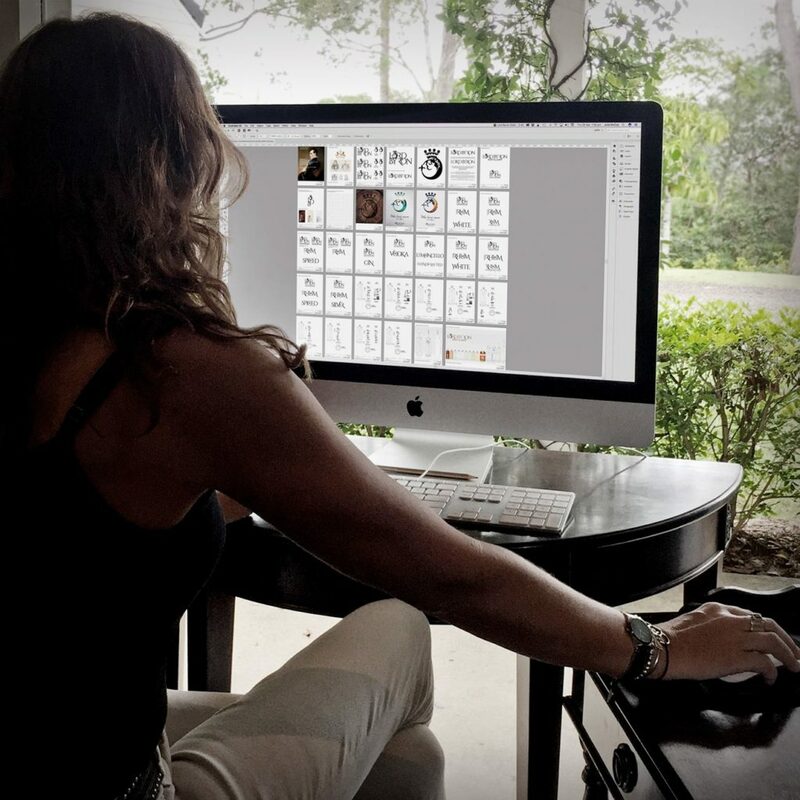 Julie McCoy on location with photographer William Stiles. ‘Trust Byron’: we honour Lord Byron and the Byron family motto in all that we do.